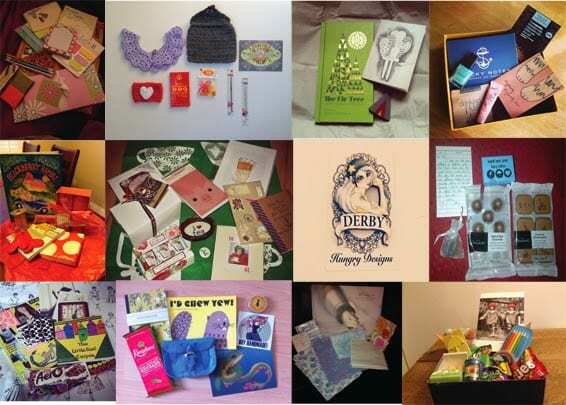 Snail Mail Trade *Round One* Inspiration Board! Oh. My. Goodness! 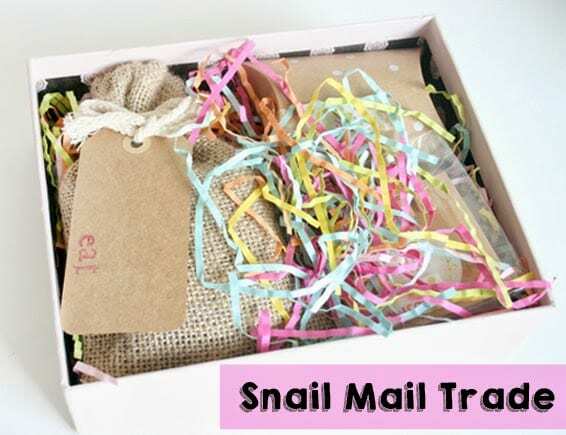 I’m so excited to share this blog post because it’s our first ever Snail Mail Trade inspiration post! Our first round is pretty much complete and I’m really pleased to share that it’s worked out fabulously …. well almost. Unfortunately there’s been a couple of delays on international packages and one lost in transit… but all in all I think with over 40 people involved, we’ve all done a super incredible job of of Round One! 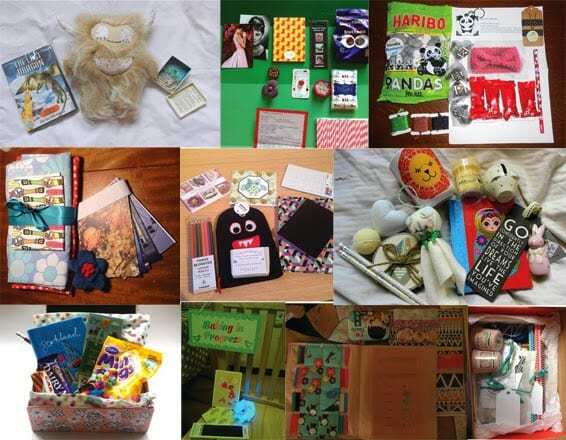 Trying to get everyone organised with partners in the same country or with a partner abroad was really tricky, but it appears that everyone has been over the moon with what they received, making this all so worth putting together 🙂 I know a few of you have been asking for your partners details to say thank you, but as I mentioned in the email it’s up to you to include your information should you like to be known… but I’d like to tell you right now that your present MADE YOUR PARTNERS DAY! Virtual high five!! So, as promised, I’ve been compiling all the pictures I’ve been receiving from you since the swap for a colossal inspiration board blog post 🙂 I’ve included as many as I could before posting this, but if I get any late comers I’ll try adding your snaps in later. How incredible are all these packages? And they all came from strangers!! It’s been such a pleasure hearing from everyone who participated when these started arriving – it’s incredible how many people received their parcels on a really rough day. 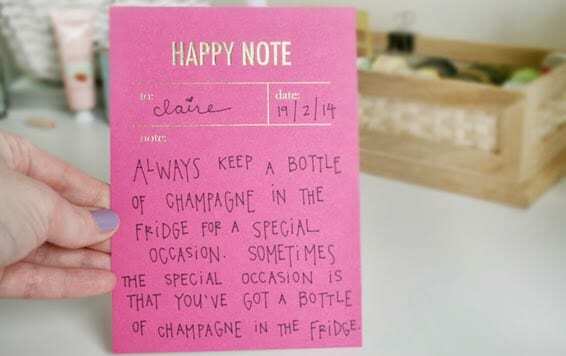 Seems that good karma came just in the nick of time and turned a lot of frowns upside down 😀 I know mine made me giddy with excitement; it’s incredible to know that you can pass that happiness on to someone you don’t even know. Doesn’t it make you want to do more random acts of kindness? It’s also really awesome to see how creative some of these packages are. There was a lot of beautiful wrapping, incredible crafting and some crazy cute curating going on. It’s safe to say that I have a girl crush on each and every one of you right now! 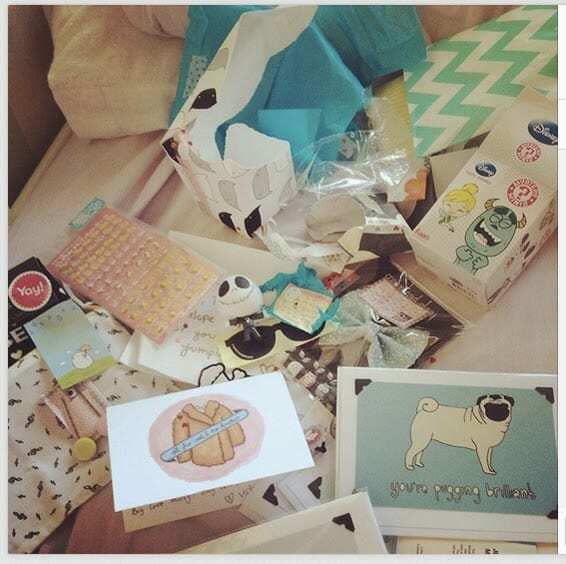 Thanks again to everyone who participated and everyone who tweeted, blogged and instagrammed your packages – you rock!! And an extra special thank you to Jade and Claire who both inspired me to set this up… Big love y’all! YEY! Thanks to YOU for organising such a super fun swap. My partner was brilliant and we are now continuing to write to each other. This sounds so fun ! Can’t wait to join in with this next time! Looking forward to round 2! 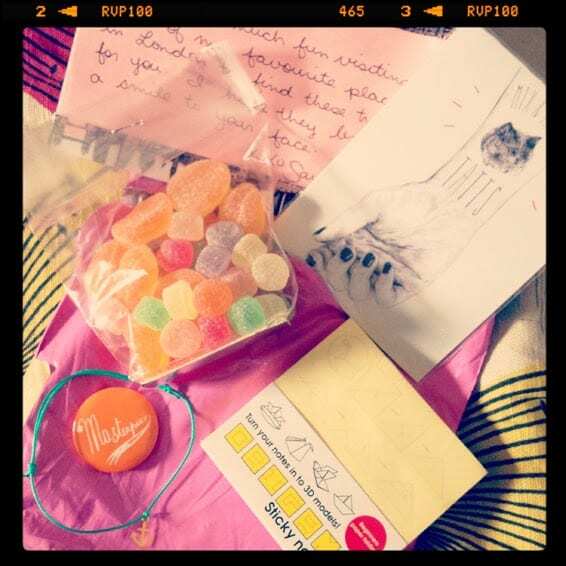 I had so much fun this time around and received such a wonderful and thoughtful package!